Doreen Leaf Designs privides expert alterations for all of our bridal gowns sold. 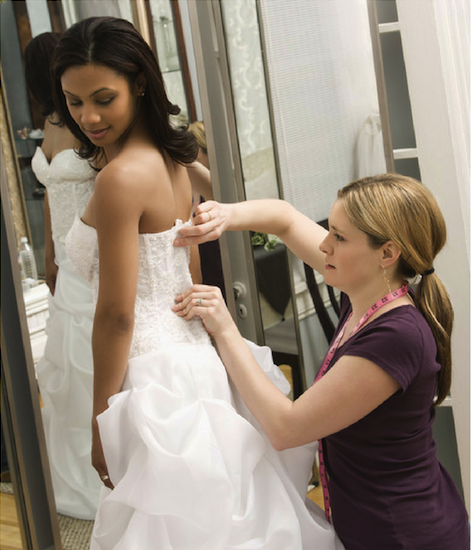 * Our professionally trained seamstresses will assure the propper fit for your bridal gown. The process starts about 3 months prior to your wedding and will take multiple fittings depending on the alterations you need. Upon finishing, your gown is pressed and ready for your Wedding Day! ​*We charge separately for our alteration services and in some cases pressing. At Doreen Leaf Designs, we love to customize your gown to be exactly what you want. Our Seamstresses/Designers are an incredibly creative team. We have treansformed gowns through the years from thier original form, to the gown of your dreams. We love the challenge! Note: Not all dresses will work with the changes you require. We can help guide you to the gown that will work best.